I am trying out some Christmas cards for this season... since its never too soon to do so! However, since I am usually "inky" when I stamp, white on white is difficult for me. 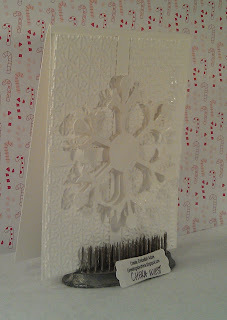 I used the Snow Flurry Big Shot die, then embossed them, and popped them up on dimensionals. 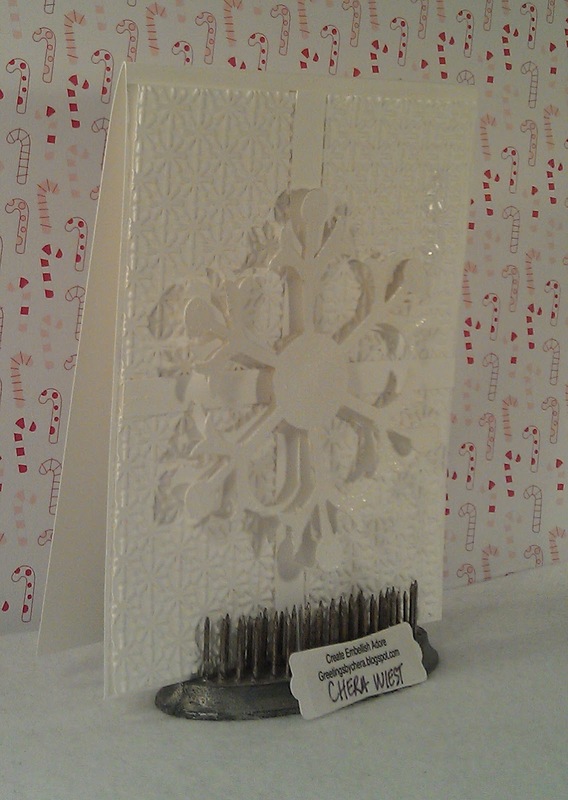 I embossed the background with Snowburst impression folder for the Big Shot. 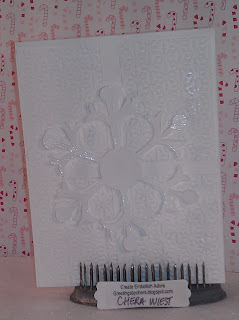 I put some embossing around the edges (in which didn't take well). Here is last attempt with the white on white with picture taking! Nothing says white like a snowflake. Thank you so much for joining us this week at CASology! Wow! Look at all the wonderful texture! Love this! 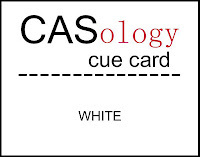 Thanks for playing along with CASology's White Cue Card! These are totally scrumptious, Chera!! 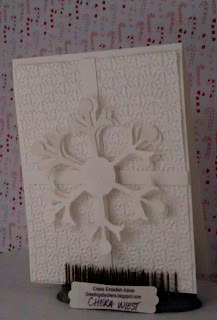 White on white picture taking is a nightmare but your cards are gorgeous! Thanks for playing along with CAsology this week!